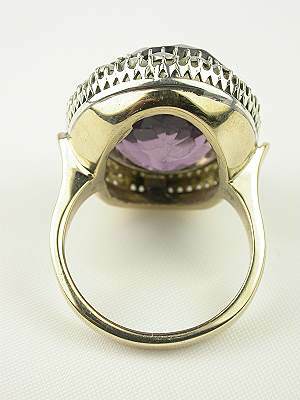 The purple hues of royalty are beautifully presented in this vintage amethyst cocktail ring's centerpiece gemstone. 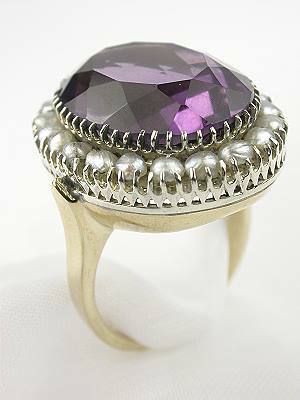 The purple hues of royalty are beautifully presented in this vintage amethyst cocktail ring's centerpiece gemstone. 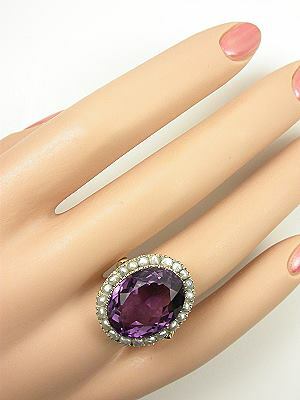 The oval faceted mixed cut amethyst weighs 13.74 carats. 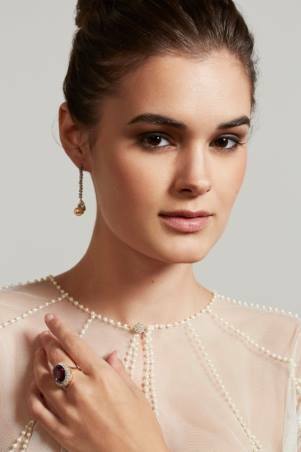 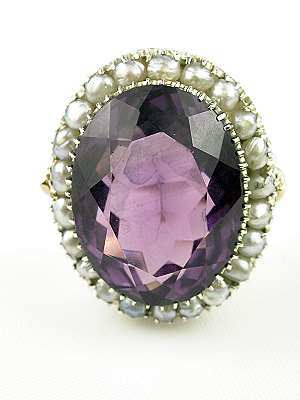 A collection of silver-white semi Baroque pearls surround the amethyst in a soft halo. 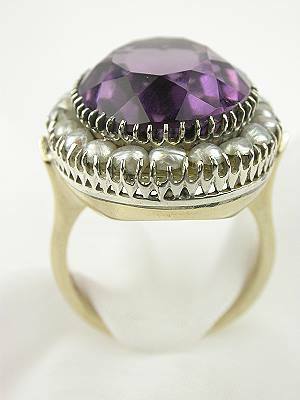 The 14k yellow gold band of this antique dinner ring is topped with white gold gallery wire bezels. 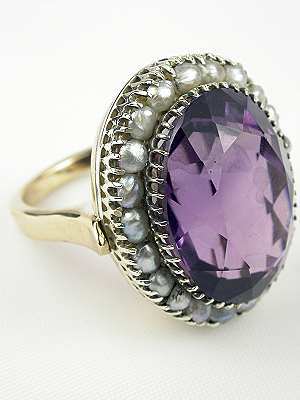 Circa 1955 or later.